WASHINGTON, Nov 21 2013 (IPS) - Nearly two weeks after Typhoon Haiyan devastated parts of the central Philippines, experts and activists here are warning that post-disaster reconstruction needs to be more transparent than past such efforts, while also focusing on a long-term assistance strategy that goes beyond immediate emergency relief. In recent days, academics and civil society experts have also urged the international community to learn from some of the mistakes made during the disaster responses following the 2010 earthquake in Haiti. Johnston has closely followed reconstruction efforts in Haiti following the earthquake that left an estimated 316,000 people dead and 300,000 injured, and displaced almost 1.5 million people. He says there are several lessons learned from the Haitian disaster that can be applied to the current crisis in the Philippines. In the Philippines, he notes, international organisations should keep the Manila government in the lead, making sure that it is a prominent part of the coordination of the entire reconstruction mechanism. Transparency and accountability can also be vastly improved over past efforts. Experts say doing so would ensure that the organisations working on the ground meet local needs and are effective in doing so. The analysts note that this lack of transparency and accountability has led to growing disillusionment among the local population in Haiti. Perhaps more important, lack of transparency can also end up affecting the relief’s efficiency itself. Greater communication between groups would enable them to be more effective with their work, while also increasing their accountability to donors, he says. Still, some NGOs currently working in the Philippines are stressing that transparency and communication are already at the core of what they do. “We try to be very transparent about our finances, and we make sure that everyone sees where all of our money is going,” Rachel Sawyer, a member of the communications staff at All Hands Volunteers, a non-profit that works in disaster-stricken areas both in the U.S. and internationally, told IPS. One other major issue experts point to is the problem of ensuring that the outpouring of funds raised in the immediate aftermath of a disaster is maintained over time, which is what long-term reconstruction requires. Bertman’s article was later endorsed by the Centre for Strategic and International Studies, a think tank here. Some have suggested that this short-term response may be partially due to the cyclical nature of media coverage, which tends to shift the public’s attention quickly. “Obviously the news cycle is a cycle, and trying to get people to give more attention is not really going to work,” Jesse Anttila-Hughes, a development economics professor at the University of San Francisco, told IPS. He notes, however, that the current strategy can be improved. According to the latest information released by the National Disaster Risk Reduction Management Council, the Philippine government’s agency monitoring the current crisis, Typhoon Haiyan has so far killed over 4,000 people, leaving almost 4.5 million people without a home. 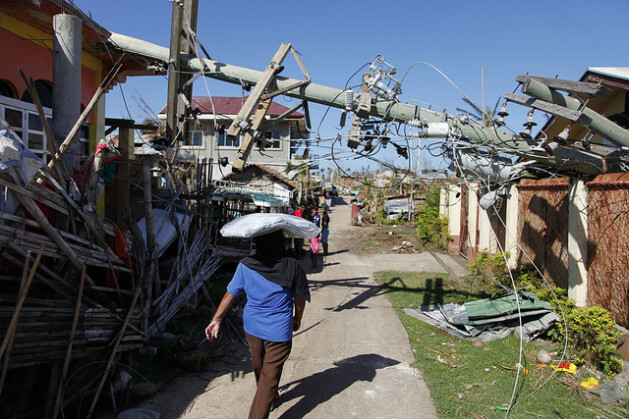 Earlier this week, the Washington-based World Bank announced that it would release 500 million dollars in funding to support the Philippines’ effort in recovery and rebuilding. The funds, which are a loan, came in response to a request by the government in Manila, and Bank officials are already looking to see how this money can be stretched for the long term – and how it can be used to sidestep some of the problems that have beset previous reconstructions.